Electric chainsaw sharpeners come in very handy to a woodworker. The equipment is more than a luxury tool. When you are filing using a hand file, each chainsaw tooth will be of different length. With time, the saw will stop cutting properly. 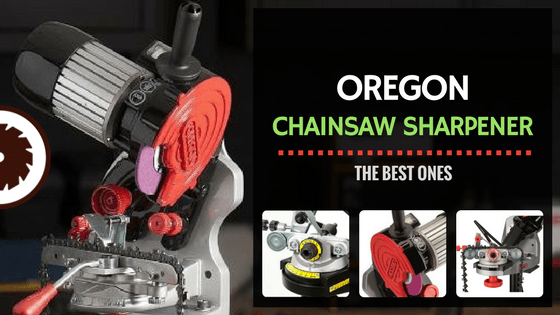 Oregon is a very popular chainsaw brand and they also offer some pretty neat chainsaw sharpeners, so I thought it'd be a good idea to write up a few Oregon chainsaw sharpener reviews. There are more than five Oregon chainsaw sharpener models, some of which look and function almost similar. Granted, it might be challenging to choose the best one among them. Three of their best chainsaw sharpener models include the Oregon 410-120, 520-120, and 620-120. Let’s look at these three models in depth. Comes with a wheel wear indicator that lets you know when to change the wheels. There is a built-in light, allowing you to see the chain tooth for correct positioning. Offered with a complete accessory package so you can get started immediately. High power motor, producing up to 3500 RPM for fast and efficient sharpening. Allows top plate and lower plate movement for angle settings, allowing you to sharpen different models. Offered with a self-centering chain vise, for precision sharpening with a customizable vise handle positioning. The quick-check grinding template allows beginners to sharpen with ease. The Oregon 410-120 is one of the most powerful chainsaw sharpeners thanks to its powerful 3500 RPM motor. The saw functions seamlessly for individual woodworking projects. With the 410-120, you do not have to sharpen the saw for more than a few minutes. Each of the teeth is sharpened uniformly. It is offered with good controls, letting you get precise sharpening even as a beginner. This chainsaw sharpener is versatile and allows you to sharpen 1/4-inch, 3/8-inch low profile; 0.235-inch, 3/8-inch high profile; and 0.404-inch pitch and chain. Granted, it covers nearly all chainsaws in the market. Its top plate and down angle settings allow you to sharpen your saw exactly as you need. Even as a beginner, the 410-120 chainsaw sharpener will allow you to sharpen with great precision. This is enhanced by the self-centering chain vise, which aligns the teeth of the chainsaw to the sharpener’s mechanism for precise sharpening. Forgiveness is also enhanced by the built-in light that lets you position the chainsaw correctly for sharpening. Again, assembly does not take much time even for a novice, seeing that there are only a few parts to be attached. With the English manual offered, you can get started within a few minutes. You can install alone. Safety has been enhanced by the one-way operation, keeping beginners and everyone else safe. Even better, the large handles allow you great control of the unit. Right out of the box, the 410-120 feels sturdy. It is made of high-quality aluminium, making it highly durable. It features great geometry for ease of use. The 410-120 sports a red body. The overall weight of the unit is 17 pounds. Even under heavy impact, at maximum speed, the unit performs great. It remains stable after installation. Its design allows it to be mounted on a wall as well as on a bench. Looking at this sharpener, it looks compact and rugged. Given its high-power motor, the 410-120 operates smoothly. You do not feel the weight of it. There are lots of knobs on the unit, allowing you to control the sharpening process. When all settings are done right, the unit feels easy. It sports a rubberized handle, allowing you great control. Offered at under $200, the Oregon 410-120 gives you great value for the money. This is in comparison with other models that cost over $400 and which are in the same range as this sharpener. Offered with customizable vise handle for easy operation. Built-in light lets you position the grinder for precision cutting. ​Three grinding wheels to sharpen different chainsaw blades. The top plate and down angle adjustments promote accuracy and even sharpening. Offered with a dressing brick grinding template for ease operation. Self-centering chain vise adjusts the chain, allowing beginners to use it with ease. The Oregon 520-120 chainsaw sharpener is a high-end chainsaw sharpener designed for use on multiple chains. It is offered with a powerful 3400 RPM motor, allowing it to operate fast. While this is slightly lower than the 410-120, when set well, the sharpener allows you to sharpen a chainsaw within a few minutes. The high-speed, coupled with the high-power of the motor, combine to offer high-quality precision and easy sharpening. The sharpening process feels smooth. It can be used for commercial chainsaw sharpening. It can sharpen a 1/4-inch or 3/8-inch low profile chain, .325-inch full profile chain and a .405-inch full profile pitch chain. Just like the 410-120, the 520-120 is offered with great features to allow you sharpen with precision even as a beginner. First off, it features a built-in light which illuminates the grinder, letting you position the chainsaw for sharpening. This is a common feature on Oregon sharpeners as it allows for great visibility to sharpen the saw teeth uniformly. The top plate and down angle settings enhance its use even more. These two features let you set the inclination of the teeth for accuracy. Lastly, there is the adjustable chain vise and a self-centering chain vise for accurate chain and grinder positioning. Even as a beginner, you are offered a manual to start with. Assembling it is easy and so is its installation on a workbench or any other work platform. Granted, you can start sharpening within a few minutes after unboxing the unit. To match the quality of other Oregon sharpeners, the Oregon 520-120 is offered with a sturdy construction. It features the updated design of Oregon sharpeners. The aluminium construction of this sharpener makes it sturdy, stable and long-lasting. It sports an ergonomic design where the grinder head opens up with ease for grinder replacement and chainsaw positioning. The handles are rubberized for comfortable use while the controls and ridged for ease of use with enough resistance. Unlike the Oregon 410-120, you can only install this sharpener on a bench. The Oregon 520-120 feature a red and silver body. There are different knobs on the body, each designed to control a different aspect of the sharpener. There are two tapes on the body of the sharpener, letting you set the inclination of the chainsaw precisely. At the top of the sharpener is a long rubberized handle, for comfort and control. The grinder housing shows you the direction of operation and safety precaution symbols to keep you safe. You can learn the different parts of the sharpener by looking at the manual. Compared to other sharpeners on this review, the Oregon 520-120 is sold at a great price for its value. It is priced just above $300. The price is great considering that the Oregon 620-120 retails at a little over $400. Its hydraulic piston compresses chain vise for efficiency. Hydraulic assist to close the chain vise automatically when the motor and wheel are lowered. Offered with standard vise attachment which fits to sharpen many types of chainsaws. It comes with a large indexing chain stop for a large surface area, to accommodate lots of chain types. Dressing brick and quick-check template for ease of use. Three grinding wheels to sharpen a great number of chains. Hands-free clamp vise lets you grind even faster. This unit also features a self-centering chain vise for precise grinding. Top plate with down angle settings for accurate sharpening. The Oregon 620-120 is designed to offer great performance. This chainsaw sharpener is fitted with a 3400 RPM motor. This allows it to take heavy-duty sharpening commercially or at home. It can sharpen 1/4-inch and 3/8-inch low profile chains, 0.325-inch, 3/8-inch full profile chains, and .404-inch pitch chains. This makes this chainsaw sharpener a very versatile one. 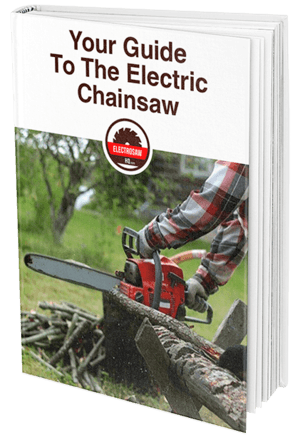 It sharpens different chainsaw brands and models. You can adjust the motor grind angle for precise sharpening. It is offered with a large motor fan with long-lasting T-shaped cooling fins. This keeps the motor running smoothly even after a long day of sharpening. It keeps you safe during operation thanks to the one-way grind operation. You can securely hold the chain during sharpening for security. The hydraulic system of the unit operates smoothly, thereby, making its overall operation rather easy. Oregon chainsaw sharpeners are known to be forgiving. You can sharpen precisely even when you have never held a chainsaw sharpener before. First off, it comes with an easy-to-follow English manual, guiding you smoothly through the different processes. It is offered with user-friendly controls, allowing you to set the unit precisely for sharpening. Again, it comes with three grinders, so you can choose the one that best matches the saw you’ll be sharpening. Not only are the knobs easy to use, but they also feature labeled scales showing different angles. The self-centering chain vise allows for even greater precision. The Oregon 620-120 is made of a high-quality cast aluminium chassis, which is highly durable. The chassis will withstand frequent use. Even with its high-quality build, the unit weighs only 21 pounds, allowing it to be used with ease. The controls are made of plastic, while the handles are rubberized for comfort. Overall, the construction of the unit allows it to last for a long time. The silver, black and red colors of this unit look great to the eye. Each part sports a smooth finish, making it easy to maintain. During operation, the high-power and high-speed rotation make the sharpener feel comfortable and efficient. Granted, you can sharpen a high number of chainsaws with relative ease. This is a premium chainsaw sharpener, retailing at just above $400. Nonetheless, it performs inarguably well. There isn’t much of a difference between the three models, except for an addition of the safety feature. The overall design, appearance, and build quality are nearly similar. While the 410-120 is offered with a 3500 RPM motor, the 520-120 and the 620-120 are offered with 3400 RPM motors. Nonetheless, the performance of the sharpeners is almost the same. Looking at the Oregon 410-120 versus the 520-120, the latter is offered with better safety features including an adjustable safety shield. The latter is also more adjustable with more settings to enhance precise sharpening. Other features, however, are the same. The 520-120 is also more expensive than the 410-120. Like the Oregon models, this unit is made of machined-finished aluminium, for durability. It works with a universal blade, making it ideal for use on different chainsaw models. Its highlight is in its ability to sharpen each chainsaw tooth to exactly the same length. It features carbide cutter, which makes it an ideal choice for professional sharpening. Unlike the Oregon models, this is a portable model that offers great adjustability. It plugs into a 12V DC power outlet and lets you sharpen your tools while in the field or backyard. Its compact and lightweight design makes it a good choice for those seeking more portability. This is a heavy duty chainsaw sharpener, offering up to 4200 RPM compared to the Oregon max rotation of 3500 RPM. This makes it an ideal choice for commercial use. The design of the unit allows you to mount it on a wall, vise or bench. Again, its design allows you to use it on almost every chain design. At this, it matches the Oregon models. Given its high power, the unit consumes a lot of power. It is offered with an ergonomic design, more like the Oregon models, allowing to position the chain with ease for sharpening. It is highly adjustable, allowing even beginners to get started with ease. Oregon is in competition with itself. The 511AX is one of the chainsaw sharpeners that has been in operation for a long time, making it a very popular model among chainsaw users. It is light in weight. The unit is great for beginners, seeing that it self-adjusts its grind angle in relation to the chain’s pitch. It is offered with three grinding wheels for versatility. Like other models from Oregon, it features a dressing brick and with a quick template, allowing you to grind with ease. However, the vise, unlike on other models, feels flimsy. It is also made of a durable cast aluminium chassis that feels sturdy and stable during use. It is easy to assemble. This sharpener is designed for efficient and fast chain sharpening. It features a design similar to the Oregon models, only it operates a little slower. It is an Italian-made sharpener, which sharpens a 20-inch saw within 12 minutes. It clamps easily on the workbench, allowing you to get started with ease. It features a 3.2mm grinding wheel, which sharpens different chains, making the sharpener versatile. It is highly adjustable with a variety of controls for precision. It is also forgiving, allowing beginners to get started without much hassle. Compared to the Oregon models, this sharpener has fewer precision features and settings, making it less forgiving. Again, it is not as adjustable as the Oregon models and sharpens relatively fewer chains.